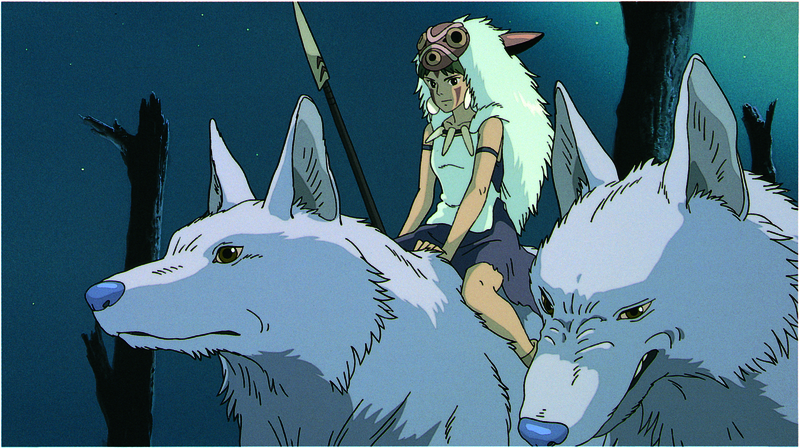 The U.S. cinematic release of Hayao Miyazaki’s 1997 film “Princess Mononoke” is a key moment in the development of Japanese animation in the West. Its mixture of romantic fable, social commentary and occasionally shocking violence helped bridge the gap between the underground status the form held in the 1990s and more mainstream acknowledgement. 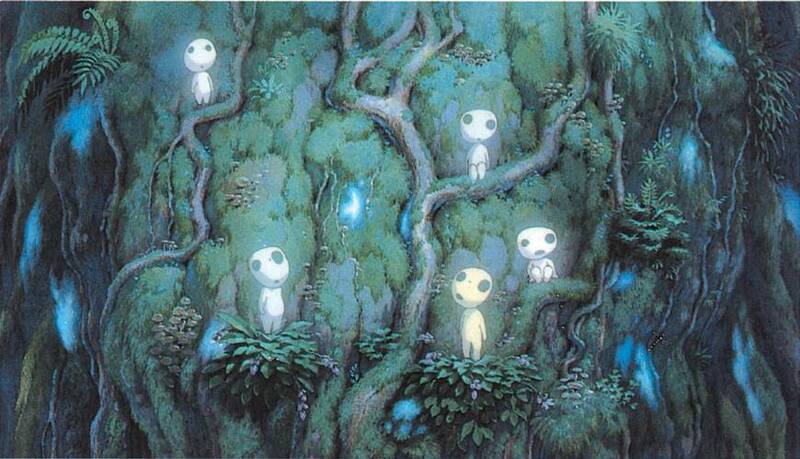 The Art of Princess Mononoke: A film by Hayao Miyazaki. It is also one of the most thorough explorations of many of the acclaimed director’s pet themes, and now, as the 15th anniversary of its 1999 U.S. release approaches, this book provides a chance to look back on a film that seems to grow in stature with every passing year. 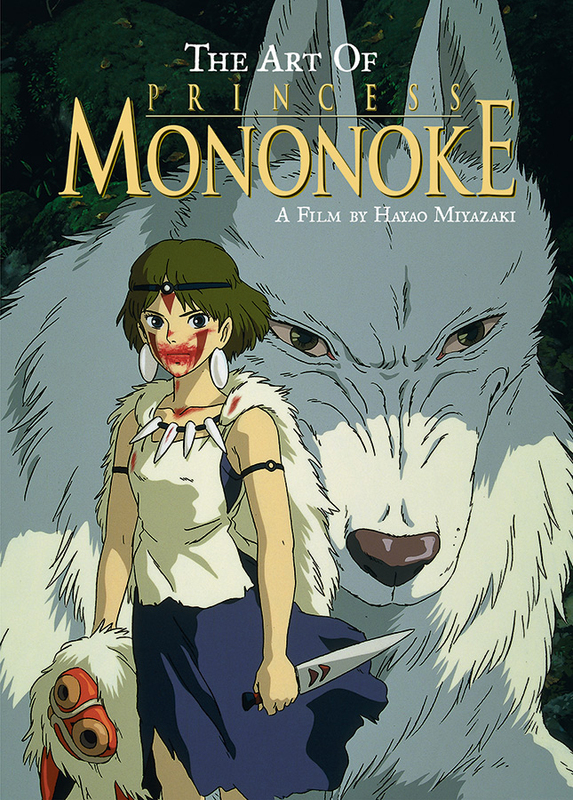 The book reveals some fascinating insights into the film’s production process, which are of particular interest given the important role “Princess Mononoke” played in the Japanese industry’s transition from traditional cel animation to computer graphics and digital compositing. This section also features some of Miyazaki’s hand-drawn layouts, complete with his instructions to animators, which helps open a window into the director’s own progress. However, what “The Art of Princess Mononoke” is really about is the art itself, in particular the richly detailed background and concept art, and one theme dominates every frame: nature. 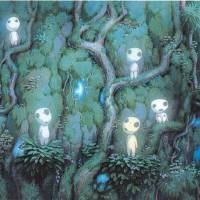 Miyazaki isn’t sentimental about nature, though, and the forest in “Princess Mononoke” is as much a place of darkness as it is of beauty. Bright green dapples the upper reaches of the frame, while the foreground is textured with ominous grays and browns. Not wreathed in shadow — these are places light never penetrates to begin with. Rather, shadow is their essence, and humans can never be anything but intruders. Nature for Miyazaki is also about power. This is also apparent in the background art of the forests, where the ancient trees dominate the frame, dwarfing the humans and stretching on endlessly upward, their trunks playing host to entire intricately detailed ecosystems of plant, animal and spirit life. 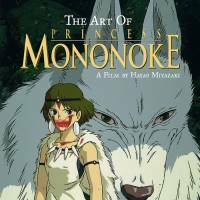 Nature’s power really is omnipresent, and “The Art of Princess Mononoke” focuses your attention in a way that the film itself cannot. In the movie, vistas sweep by, barely registering as they work away at the viewer on a subliminal level. Here, the art’s richness of detail is laid out for you to explore at your leisure. One piece of concept art depicts a river valley with a plume of smoke rising from a small hamlet. Somewhere, someone’s livelihood has been ruined. But the smoke from the burning farm is a tiny triangle in the frame, comparable in size to the tall grasses and leaves that embroider the foreground. 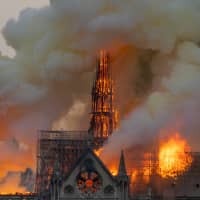 As the image deepens, the hills and mountains dwarf this human tragedy, while white clouds take up nearly the whole upper half of the frame. The little black cloud, loaded with the import of human devastation, is a pitiful little scab signifying nothing next to the awesome physical and temporal scales in which Miyazaki’s nature works. 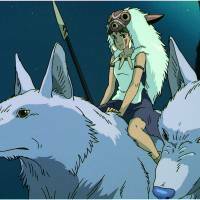 “Princess Mononoke” is often characterized as an environmental fable and it’s easy to see why, but it was always far more than that. In his introduction to the book, Miyazaki draws our attention not just toward the awesome majesty of nature, but also toward the social context in which the film takes place. He consciously avoids the popular period-drama tropes of rice farmers and samurai where everyone knew their place, instead setting the film during a period of social upheaval, with the hero Ashitaka representing one of the nation’s forgotten aboriginal people and Irontown set up as a proto-Marxist worker’s collective rising up to challenge the power of the samurai lords. Yes, “Princess Mononoke” is deeply concerned with nature, but it is also a paean to working men and women. Its heroes are oppressed minorities, lepers, prostitutes, ox drivers and orphans. The traditional warriors are either comical and ineffectual or outright villainous. 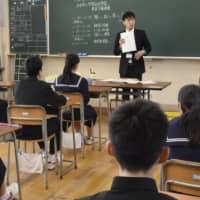 Where period dramas often serve to reinforce and even celebrate class distinctions, Miyazaki rips them apart with glee. He may these days like to pronounce himself tired of politics, but in 1997, at least, his inner class warrior was there for all to see. And these workers and tradespeople have a terrible power of their own. Irontown sits like a fierce, angry hedgehog, dwarfed by the mountain behind it, yet the mountain has been stripped bare by the tenacious townsfolk. At the center sits the foundry with its enormous bellows, worked constantly by the women, pinpricks of light from its windows a reminder of the fire, both creative and destructive, its people can unleash. The human world in “Princess Mononoke” is formed of the same rocks and trees as the forest, but the rocks are melted down to make guns. More strikingly in terms of the content of the book, the trees are hewn into rigidly uniform logs and arranged in geometric patterns to form walls, staircases, irrigation channels and defenses. Human pragmatism and ideology are ruthlessly imposed on the dislocated children of the forest. The physical clash between these two worlds forms the core of the film, but the philosophical battle is displayed in every bit as powerful and visceral detail across the pages of this book, making it in more ways than one a fascinating companion to Miyazaki’s original film.